Today I popped in to the launch of the Cathedral’s interpretation project. 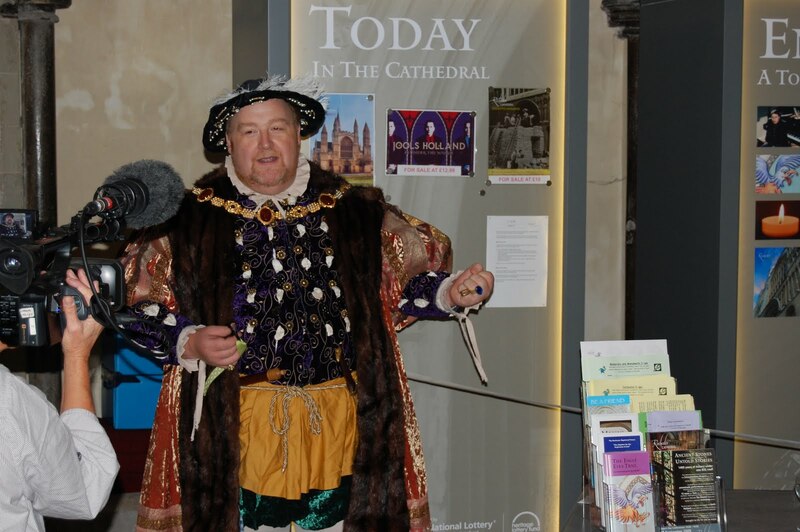 Henry VIII was kind enough to fly back through history and cut the ribbon and formally open the project which has been steered amazingly by Annie. 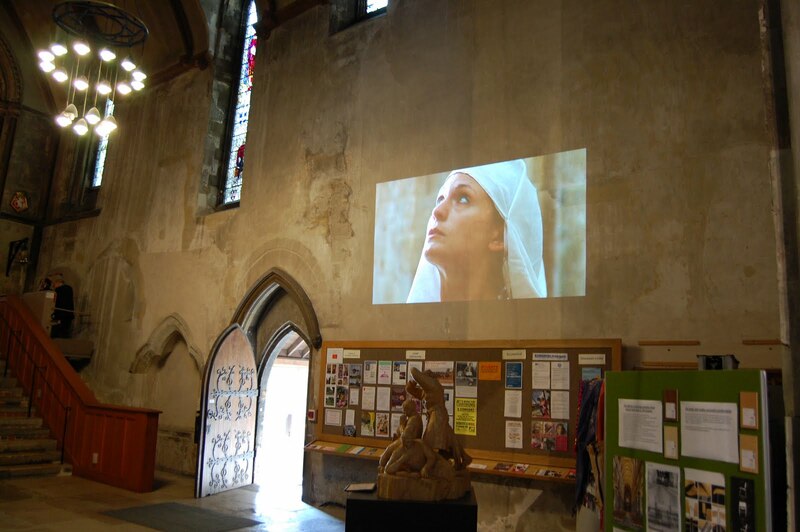 Whether you have been to the cathedral or not visiting now is a magnificent experience enhanced with great visuals from projectors (seen below) and audio guides (where your guide for your visit to the cathedral is Jools Holland). I’ve uploaded the other photos on my facebook page. This entry was posted in cathedral by robryan65. Bookmark the permalink.